Our company is about to start working on a big localization project. We are not the main contractor: we shall only be providing our services to a major translation and localization company. 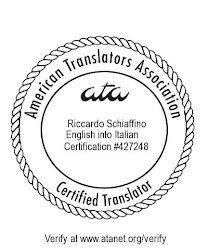 There are, of course, many more intermediate stages and activities: from the management of translation memories to organizing and implementing a system for answering translators' questions. It is surprising, though, how many projects do not include some fundamental steps, or do them in the wrong order (such as translating the documentation before the software is translated... or at least stable enough not to cause too many problems during documentation translation).